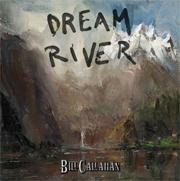 A couple of surprising things happened in the run-up to Dream River's release: a press shot of Bill Callahan circulated in which he sports an enormous grin, while its first offering to listeners was a song made over in a dub style. Callahan does smile, of course - anyone who has seen him in concert over the last few years would testify to that - and a diversion into dub is apparently something he had been toying with the last few years (room was left on some of Dream River's arrangements in order to better facilitate this). Paired with a press release promising a "sensual, soulful" sound, though, it all implied that the often guarded Callahan had lightened up some, and, at 47, was about to release a more carefree set than his previous. That is the case - but only to a point. Some of Dream River's most memorable instances are the ones that find Callahan at his most content; grateful for a loving relationship, or more often than not for just being. Yet for all that it marks a shift from 2009's Sometimes I Wish We Were An Eagle and 2011's Apocalypse, it is very much a Bill Callahan record, littered with allusions to his signature themes and similarly laced with telling insights and sharp, unhurried wit. Callahan's delivery is, as ever, a delight. Much like Leonard Cohen, he has grown into his voice, and his deep baritone exudes effortless authority and experience, not to mention a keen sense for a quip. Opening song 'The Sing' finds him sitting alone in a hotel bar: "The only words I've said today," he drolly intones, "Are 'beer' and 'thank you'." He goes on to repeat those words in illustration of the fact, and what might sound one-note is, thanks to the subtle inflections and changes in his tone, actually brilliant. As its title implies, it can be a loose, meandering affair. There is nothing here as immediately striking as Apocalypse's 'Drover', for example, or anything from Sometimes I Wish We Were An Eagle. Its eight songs trickle into new territory with little reasoning or logic, yet they always seem intuitive, like they were never going anywhere else. 'Ride My Arrow' morphs into something different almost as soon as it starts, while a left-turn in 'Seagull' becomes the entire song. "I wonder if I'll ever wake up?" he posits during the latter. Dream logic might be a better way of considering it: what initially seems shapeless does all hang together, for like in dreams, certain motifs are recurring and recycled throughout, and some things make sense because they just do. To pore over all this too much, though, is to miss something equally important: that Dream River is a beautifully realised LP and, quiet explosions of unease aside, a warm and easy listen. Instrumentally it falls somewhere between the rich expansiveness of Sometimes I Wish We Were An Eagle and the stripped-back simplicity of Apocalypse. A flute and a fiddle furnish many songs here, which are steered by inventive, clean electric guitar tones and a steady, pleasing percussive turn from Swans and Shearwater mainstay Thor Harris. The result is something stranger and more off-kilter than either of its predecessors, but equally distinctive. "Is life a ride to ride?" mulls Callahan on 'Ride My Arrow', recalling last album centrepiece 'Riding For The Feeling', "Or a story to shape and confide? Or chaos, neatly denied?" Questioning, ranging lyrics like these - as well as passing mention of war, "the taste of pilgrim guts," "the world off its axis," and "a quiet [that] no-one should know" - all suggest deep reservations on Callahan's part regarding the modern world. Likewise, the stormy climax of 'Summer Painter' and repetitive thrum of 'Javelin Unlanding' both take decidedly sinister, hypnotic turns. Elsewhere, though, as mentioned, Callahan seems uncharacteristically serene. "Sometimes you sleep while I take us home," he sings on 'Small Plane', "that's when I know we really have a home." Details like this one (well, the entirety of 'Small Plane', in fact) offset the stark imagery employed elsewhere, rendering it secondary to the simple joy of living. By the time the album reaches its close with the lovely 'Winter Road', Callahan is driving along a surface at once "dangerous and pretty and white". He's headed home, though, away from the anonymity of windowless hotel bars and stirring, feverish dreams and back to his other half. Against the unlikely backdrop of a Donald Sutherland interview on the radio, he spins sheer romance. "I have learned, when things are beautiful, to just keep on," he adds. One of a handful of moments Callahan treats with urgency on the album, it is the kind of line that might sound pat or contrived in other hands, but, thanks to its delivery, to the instrumentation that surrounds it and to everything that came before - in these eight songs and the scores that preceded them - it comes off like a revelation, and an earned one at that. Nearly 25 years into his career Callahan is making music as thoughtful and robust as ever, and damn, it's good to have him around.